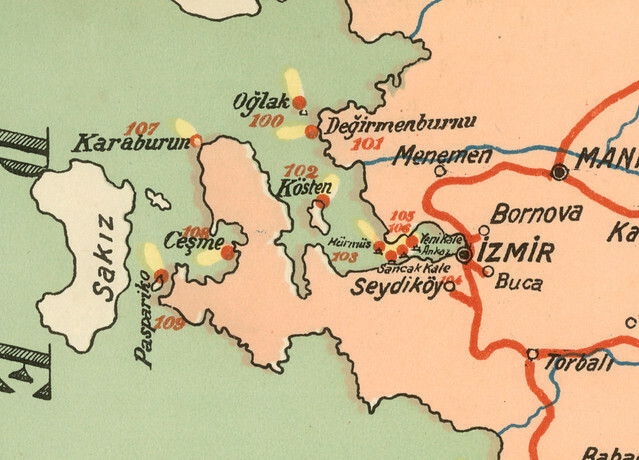 A mid-century map showing the lighthouses on and around Turkey's coast (as well as foghorns and light buoys). 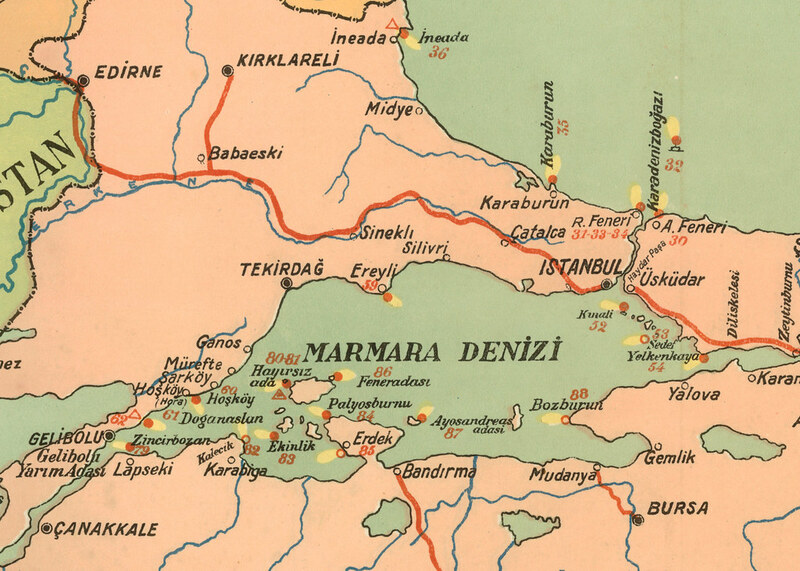 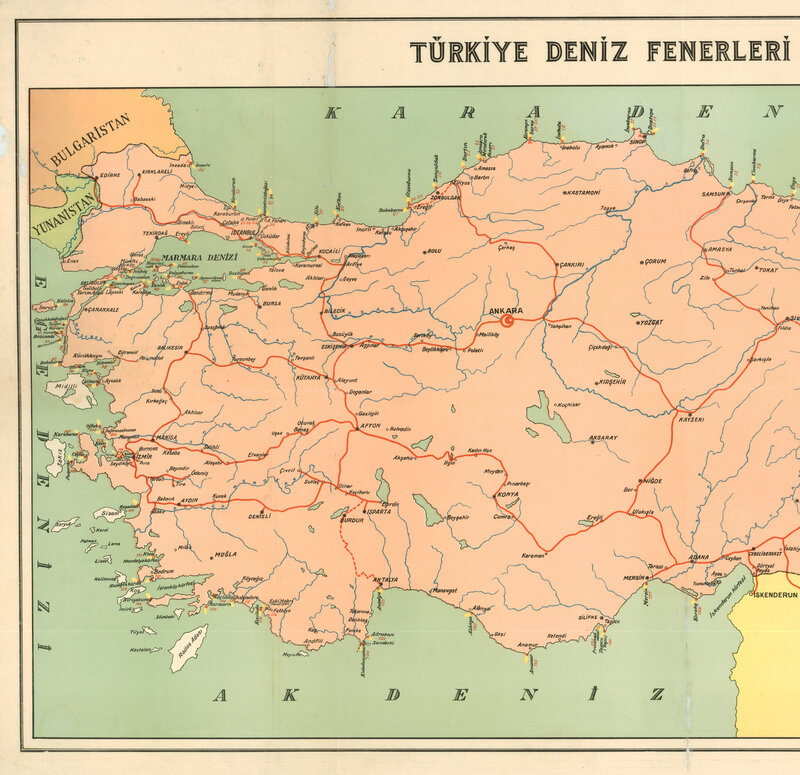 It's a huge map so we've just posted some highlights, but you can download the western half of it here or get all 300+ megabytes at the Ataturk Library (just ask for Hrt_Gec_000029). 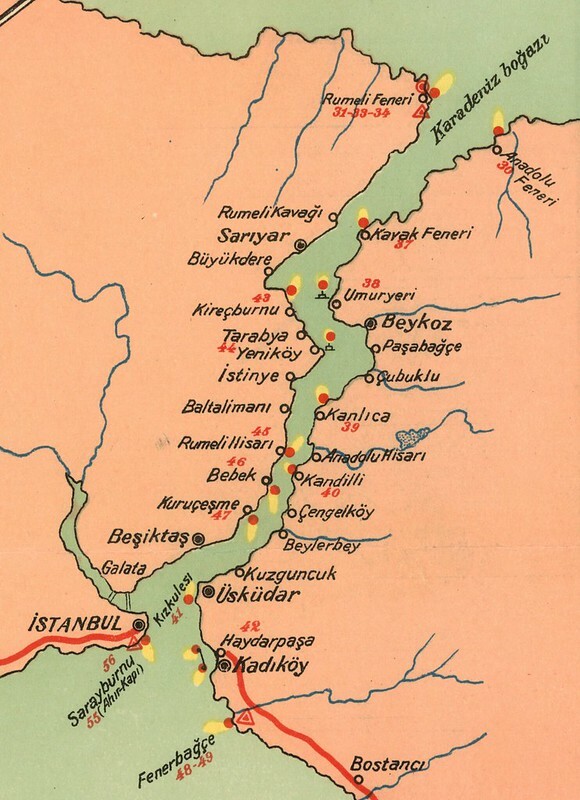 Below, of course, is the Izmir Gulf and an inset showing the Bosporus (click to enlarge). 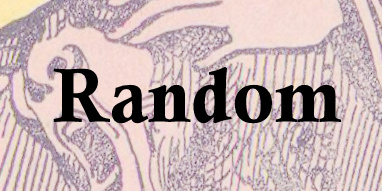 The legend is here.